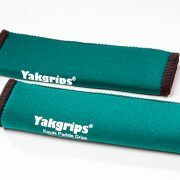 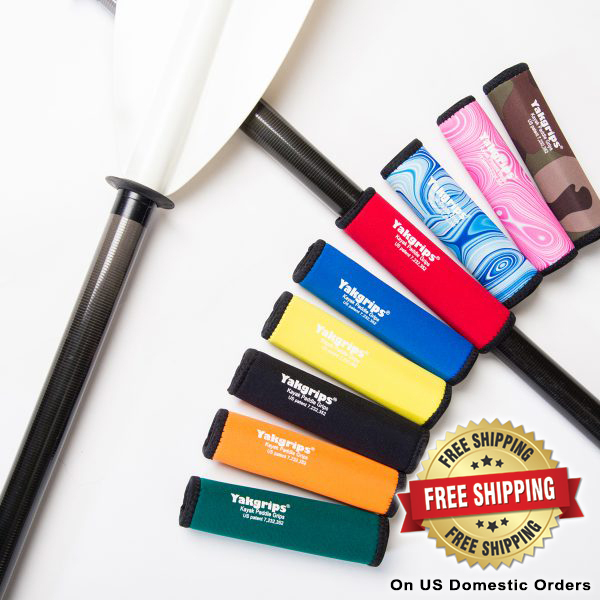 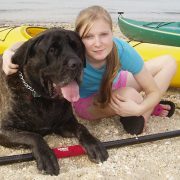 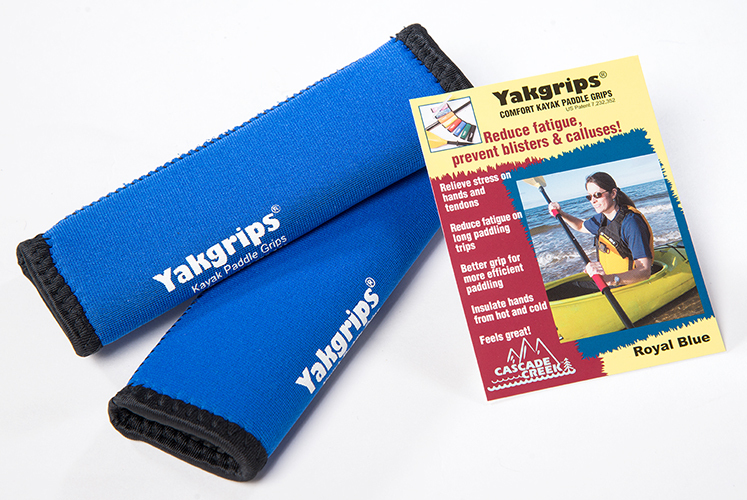 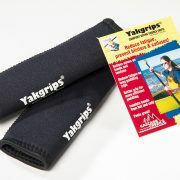 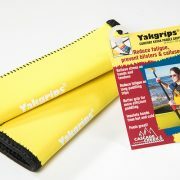 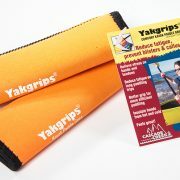 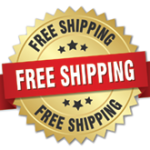 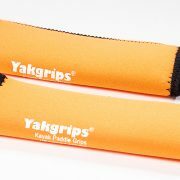 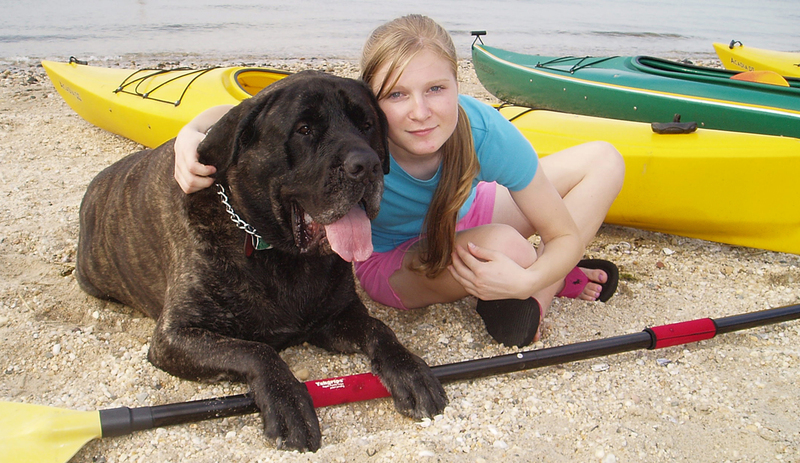 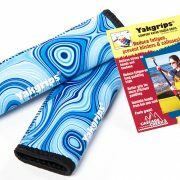 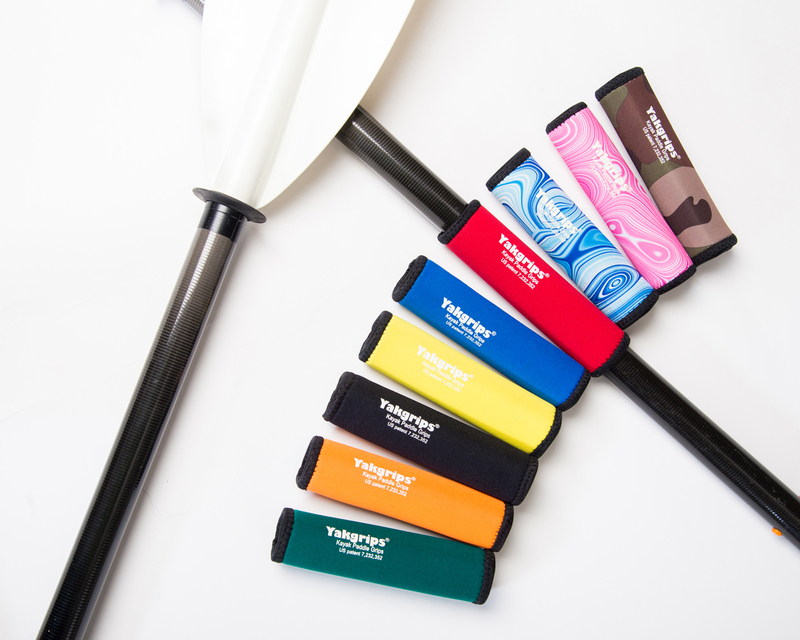 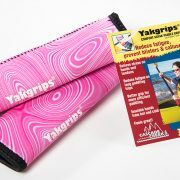 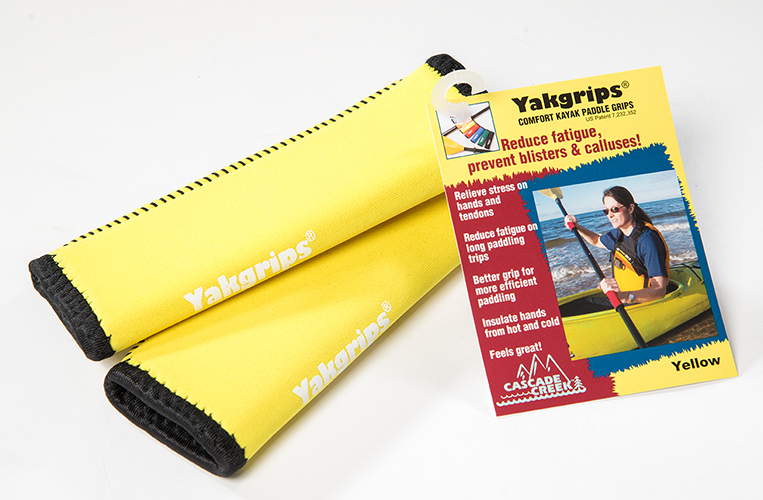 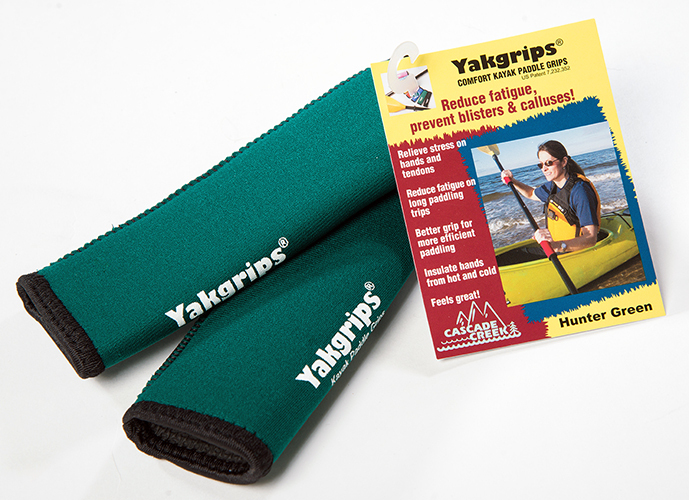 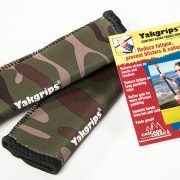 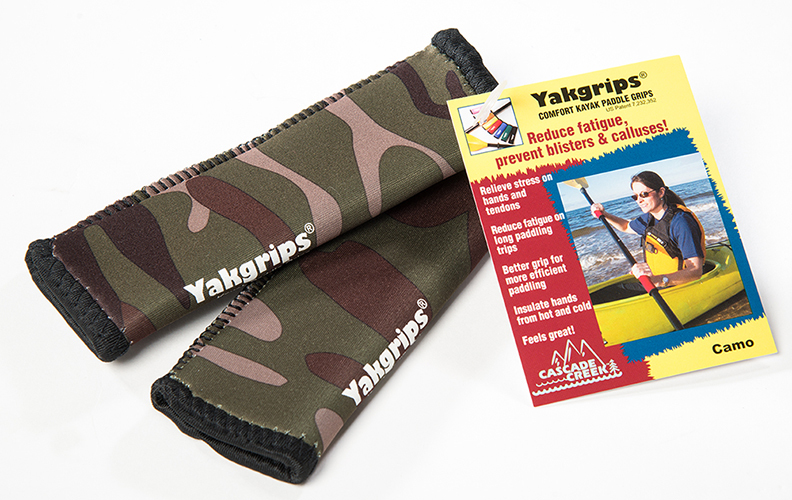 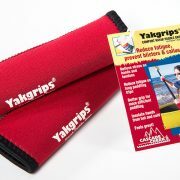 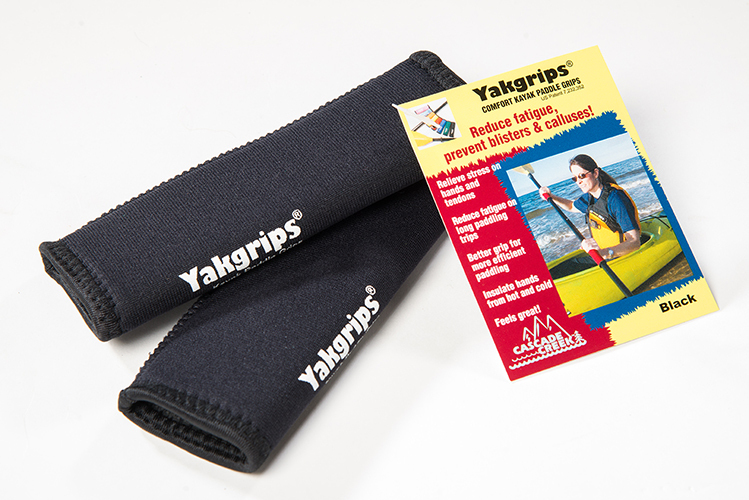 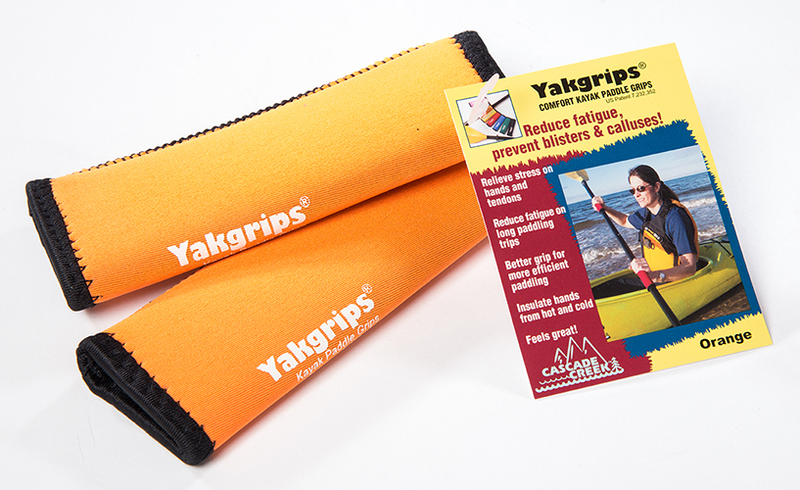 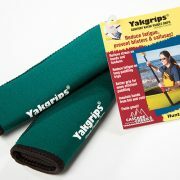 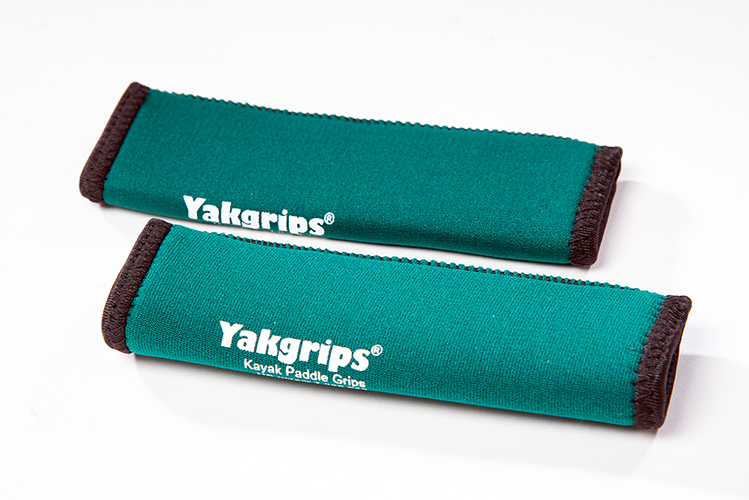 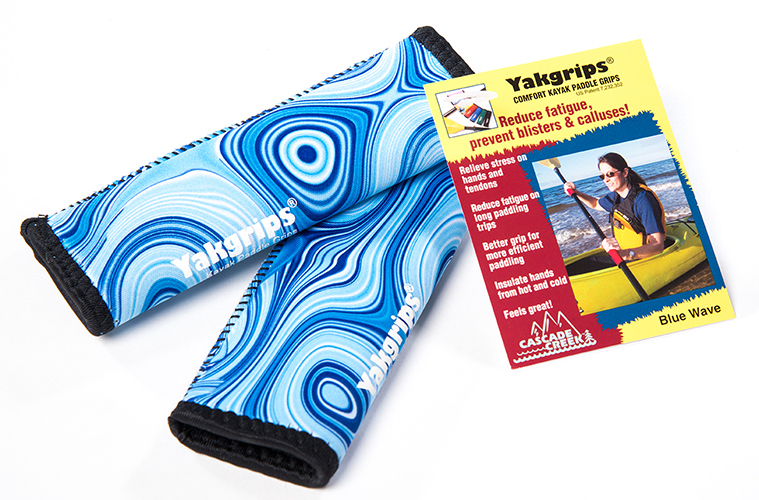 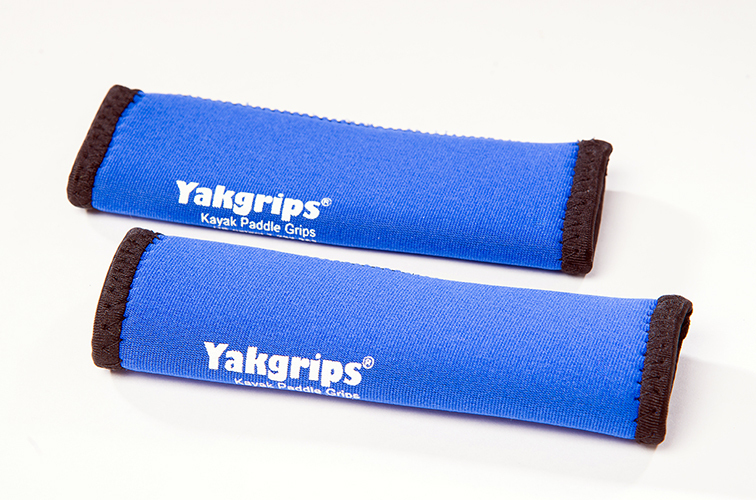 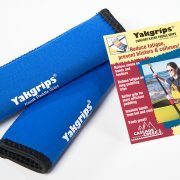 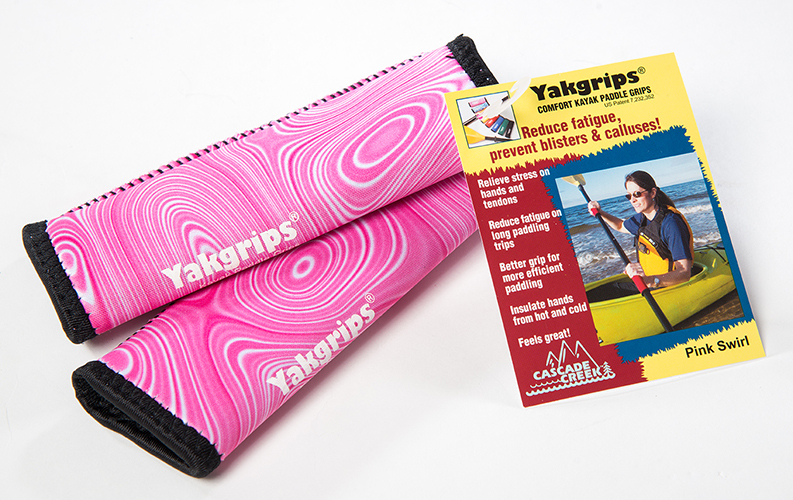 Put a lot of water on the Yakgrips® and on the paddle shaft and slide on. 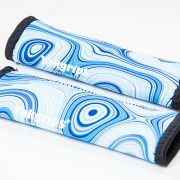 Dunking under clean water works best. 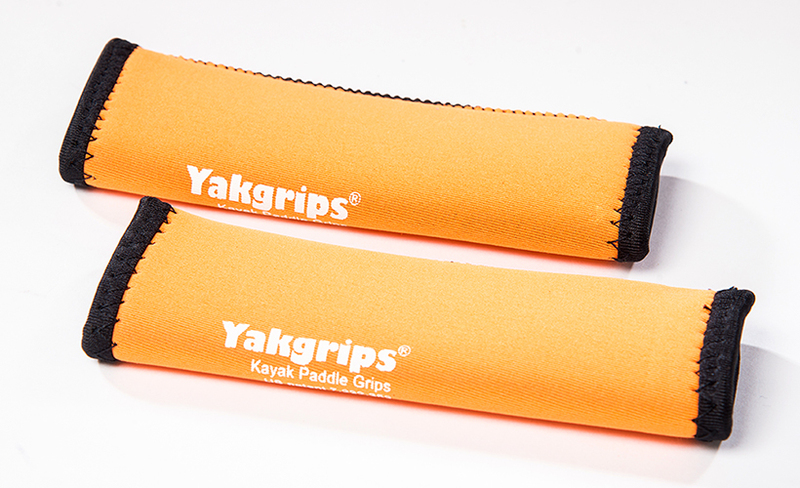 To adjust the position use water under and on the paddle shaft. 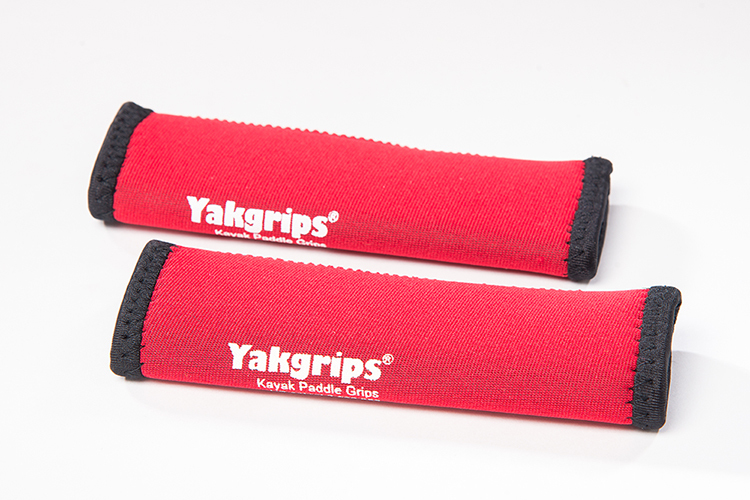 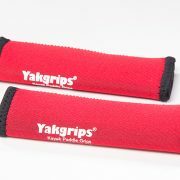 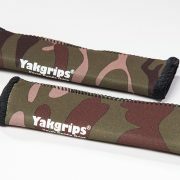 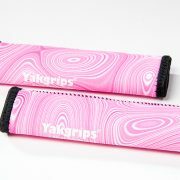 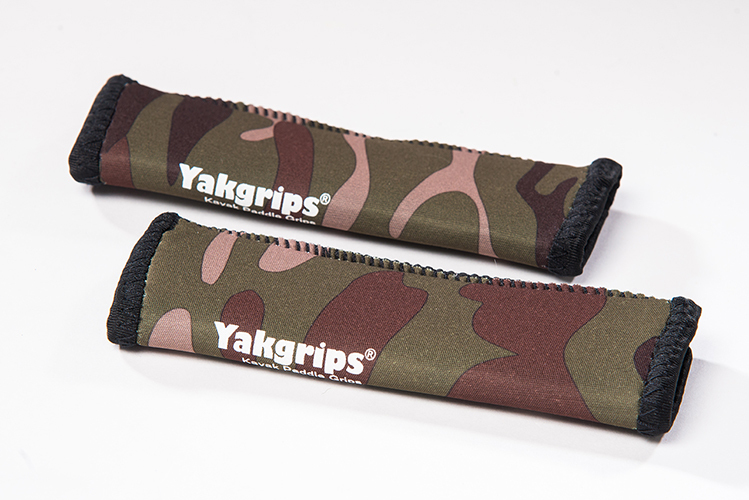 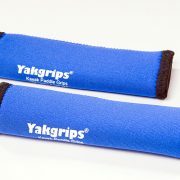 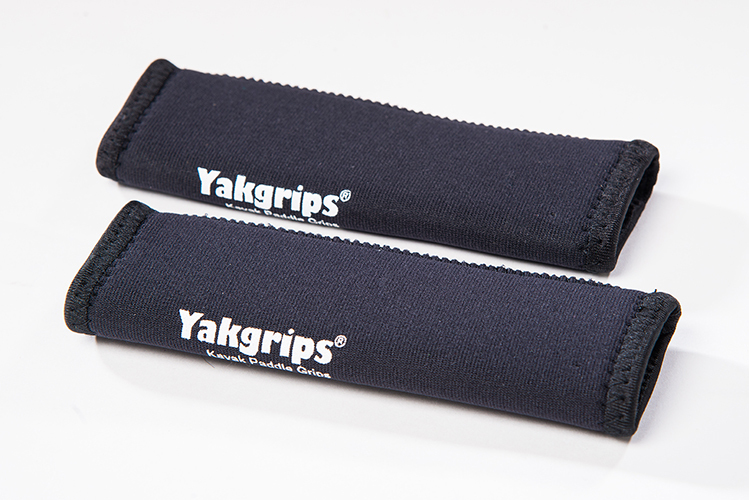 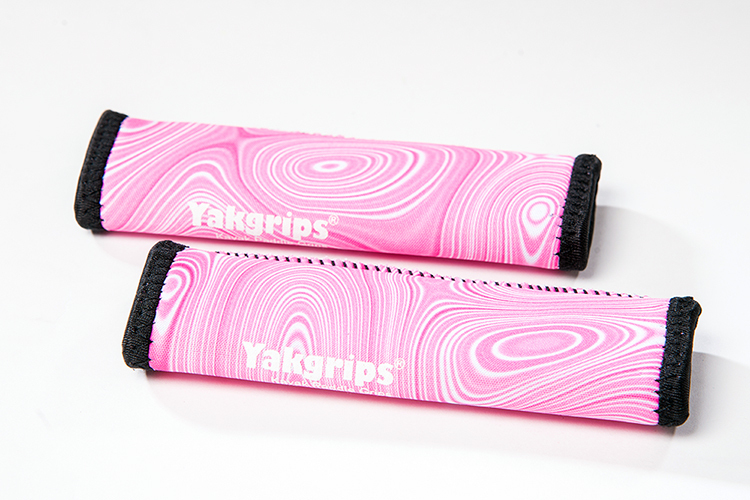 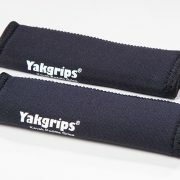 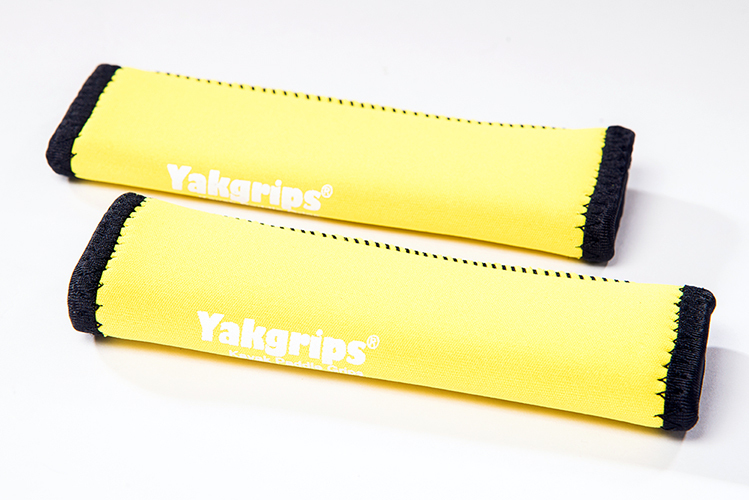 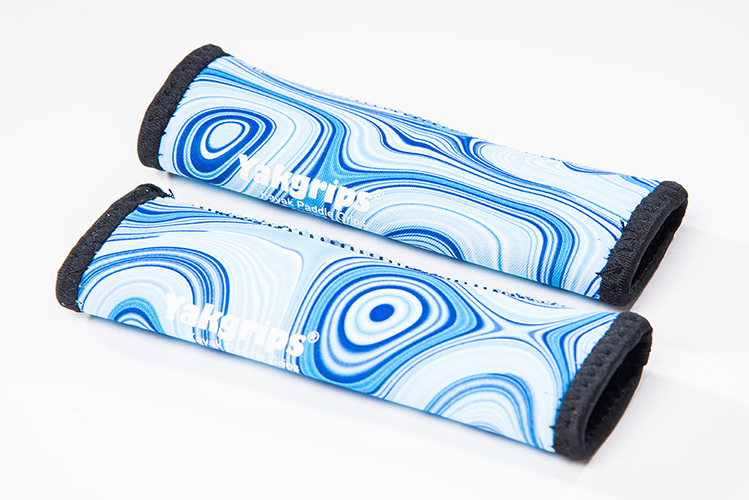 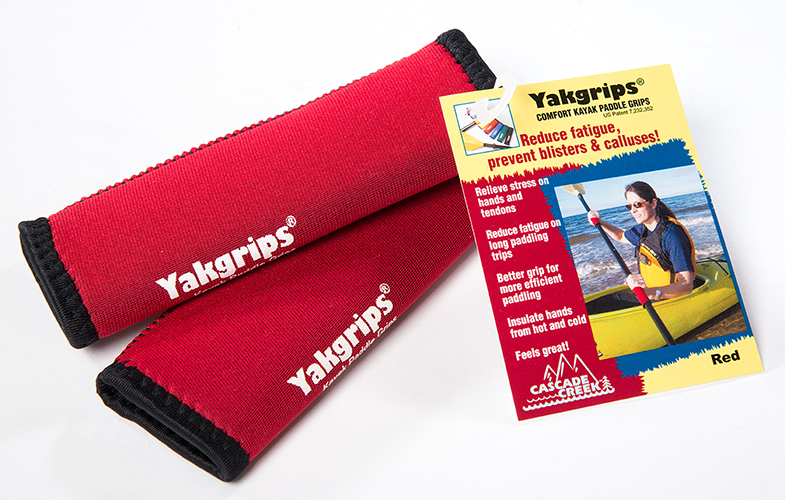 Pull the Yakgrips® off or to the new position.